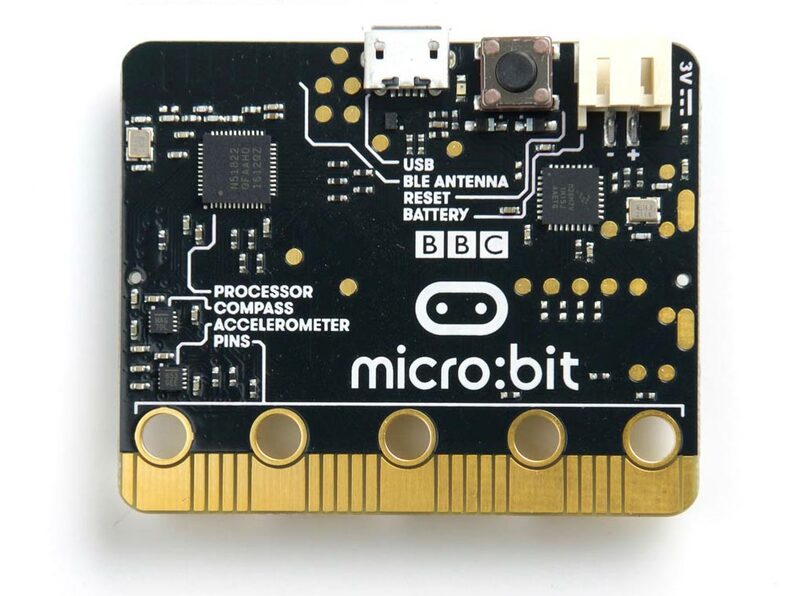 The ARM version of uLisp now runs on the BBC Micro Bit, the low-cost controller board pioneered by the BBC in the UK. The board also includes two pushbuttons and a matrix of 5 x 5 multiplexed LEDs. See Example programs below for examples of using these from uLisp. Download the ARM version of uLisp from the downloads page: Download uLisp. Open the Boards Manager… from the Board item on the Tools menu, search for nRF5, and install Nordic Semiconductor nRF5 Boards by Sandeep Mistry. Connect the BBC Micro Bit to your computer using a USB cable. Select BBC micro:bit from the Board menu, set Softdevice to None, and set Port to the USB port. 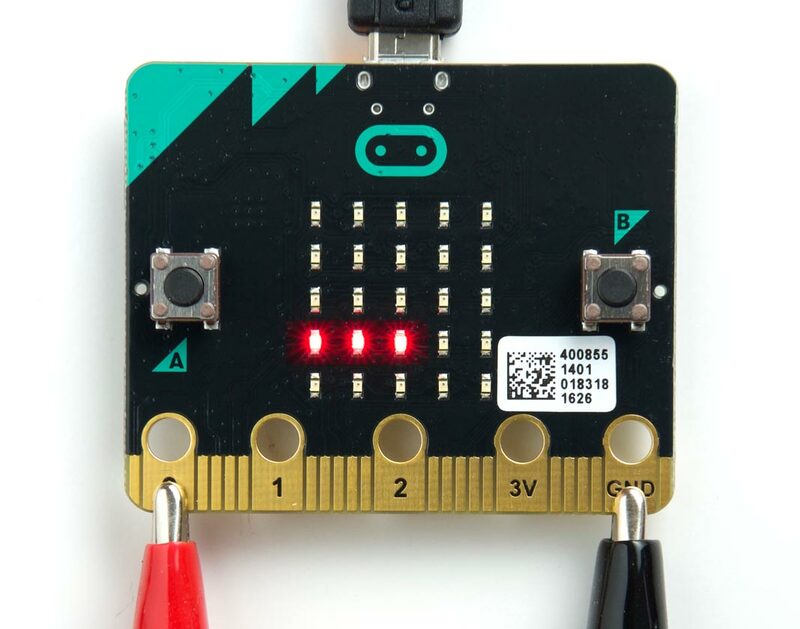 You should now be able to upload uLisp to the BBC Micro Bit. 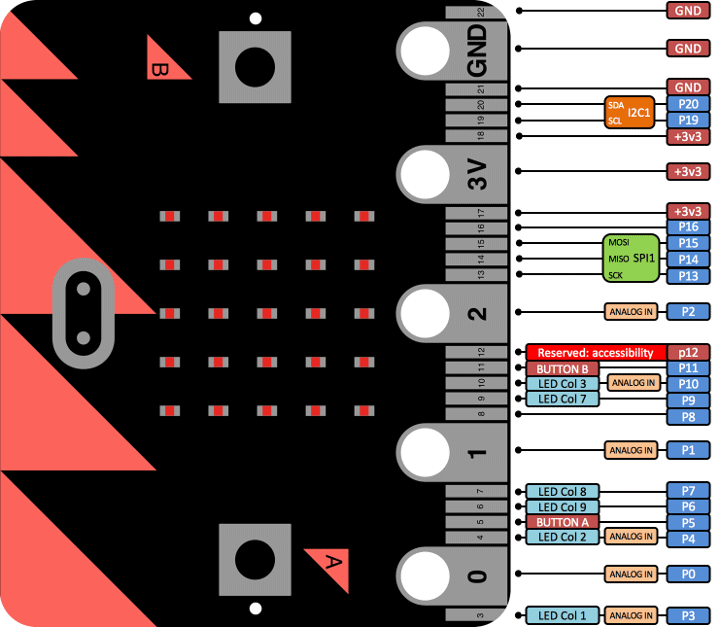 Follow the instructions in Using uLisp to interact with uLisp on the BBC Micro Bit. The reverse of the BBC Micro Bit also provides a matrix of 5 x 5 LEDs. They are connected in a totally illogical arrangement of nine columns and three rows, and to light any individual LED you need to take the column low and the row high corresponding to that LED. Exit from any program by entering ~. If you touch pin 0 on the edge connector you'll see the bar flash from the voltage on your finger. Connect a voltage of up to 3.3V to pin 0 to display a bar of LEDs in proportion to the voltage.